President Obama says of Osama bin Laden's death: "Justice has been done"
(CNN) -- Osama bin Laden used the fruits of his family's success -- a personal fortune estimated in the hundreds of millions of dollars -- to help finance al Qaeda in its quest for a new pan-Islamic religious state. The Saudi-born zealot commanded al Qaeda, a terrorist organization run like a rogue multinational firm, experts said, with subsidiaries operating secretly in dozens of countries, plotting terror, raising money and recruiting young Muslim men -- even boys -- from many nations to its training camps in Afghanistan. Bin Laden and his terrorist network were behind the September 11, 2001, attacks on the United States and are linked to others around the world. The enormity of the destruction in the 9/11 attacks -- the World Trade Center's towers devastated by two hijacked airplanes, the Pentagon heavily damaged by a third hijacked jetliner, a fourth flight crashed in rural Pennsylvania, and more than 3,000 people killed -- gave bin Laden a global presence. His death early Monday in Pakistan ended a nearly 10-year long manhunt for one of the world's most-wanted men. Even before September 11, 2001, bin Laden was already on the FBI's Ten Most Wanted Fugitives list. He had been implicated in a series of deadly, high-profile attacks that had grown in their intensity and success during the 1990s. They included a deadly firefight with U.S. soldiers in Somalia in October 1993, the bombings of two U.S. embassies in East Africa that killed 224 in August 1998, and an attack on the USS Cole that killed 17 sailors in October 2000. On September 11, sources said, the evidence immediately pointed to bin Laden. Within days, those close to the investigation said they had their proof. 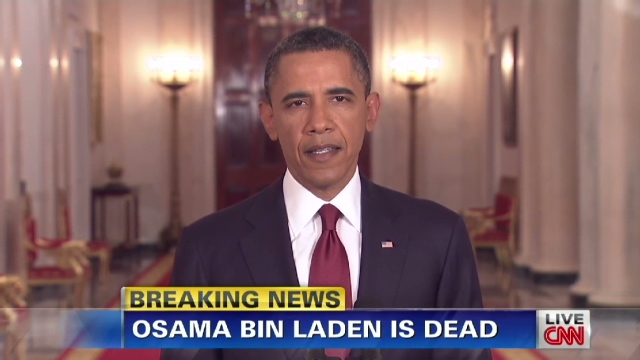 Six days after the attack, President George W. Bush made it clear Osama bin Laden was the No. 1 suspect. "I want justice," Bush said. "There's an old poster out West that said, 'Wanted, dead or alive.'" Bin Laden was born in the kingdom of Saudi Arabia in 1957, the 17th of 52 children in a family that had struck it rich in the construction business. His father, Mohamed bin Laden, was a native of Yemen, who immigrated to Saudi Arabia as a child. He became a billionaire by building his company into the largest construction firm in the Saudi kingdom. As Saudi Arabia became flush with oil money, so, too, did the bin Laden family business, as Osama's father cultivated and exploited connections within the royal family. 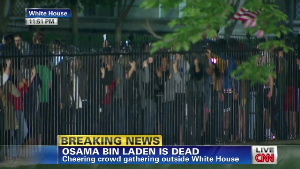 One of the elder bin Laden's four wives -- described as Syrian in some accounts -- was Osama's mother. The young bin Laden inherited a share of the family fortune at an early age after his father died in an aircraft accident. The bin Ladens were noted for their religious commitment. In his youth, Osama studied with Muslim scholars. Two of the family businesses' most prestigious projects also left a lasting impression: the renovations of mosques at Mecca and Medina, Islam's two holiest sites. As a young man attending college in Jeddah, bin Laden's interest in religion started to take a political turn. One of his professors was Abdullah Azzam, a Palestinian scholar who was a key figure in the rise of a new pan-Islamic religious movement. Azzam founded an organization to help the mujahedeen fighting to repel the Soviet Union's invasion of Afghanistan in 1979. 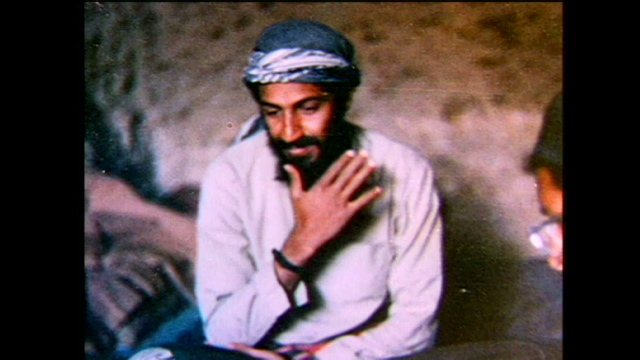 Bin Laden soon became the organization's top financier, using his family connections to raise money. He left as a volunteer for Afghanistan at 22, joining the U.S.-backed call to arms against the Soviets. He remained there for a decade, using construction equipment from his family's business to help the Muslim guerrilla forces build shelters, tunnels and roads through the rugged Afghan mountains, and at times taking part in battle. In the late 1980s, bin Laden founded al Qaeda, Arabic for "the base," an organization that CNN terrorism analyst and author Peter Bergen says had fairly prosaic beginnings. One of its purposes was to provide documentation for Arab fighters who fought against the Soviets in Afghanistan, including death certificates. Al Qaeda, under bin Laden's leadership, ran a number of guesthouses for these Arab fighters and their families. It also operated training camps to help them prepare for the fight against the Soviets. In the early 1990s, with the disintegration of the Soviet Union, bin Laden turned his sights on the world's remaining superpower -- the United States. War-hardened and victorious, he returned to Saudi Arabia following the Soviet retreat from Afghanistan. In a 1997 CNN interview, bin Laden declared a "jihad," or "holy war," against the United States. The Iraqi invasion of Kuwait provided the next turning point in Osama bin Laden's career. When the United States sent troops to Saudi Arabia for battle against Iraq in the Persian Gulf War, bin Laden was outraged. He had offered his own men to defend the Saudi kingdom but the Saudi government ignored his plan. He began to target the United States for its presence in Saudi Arabia, home to the Muslim holy sites of Mecca and Medina. With bin Laden's criticisms creating too much friction with the Saudi government, he and his supporters left for Sudan in 1991. There, according to U.S. officials, al Qaeda began to evolve into a terror network, with bin Laden at its helm. Tapping into his personal fortune, bin Laden operated a range of businesses involved in construction, farming and exporting. Although the U.S. government was unaware of it at the time, bin Laden was already actively working against it. According to court testimony, he sent one of his top lieutenants, Mohammed Atef, to help train Somalis to attack U.S. peacekeeping troops stationed there. Bin Laden would later hint, during an interview with CNN, of his involvement in the deaths of 18 U.S. Army Rangers in 1993 in Mogadishu. Also in 1993, terrorists bombed the World Trade Center in New York, killing six and wounding hundreds. Eventually, bin Laden would be named along with many others as an unindicted co-conspirator in that case. The mastermind of the attack, Ramzi Yousef, would later be revealed to have close ties to al Qaeda. In 1996, bin Laden took his war against the United States a step further. By then, he had been stripped of his Saudi citizenship and forced by Sudanese officials, under pressure from the United States, to leave that country. He returned to Afghanistan where he received harbor from the fundamentalist Taliban, who were ruling the country. By then, the United States had begun to recognize a growing threat from bin Laden, citing him as a financier of terrorism in a government report. According to reports, however, the U.S. government passed up a Sudanese government offer to turn over bin Laden, because at the time it had no criminal charges against him. The Saudis, according to an interview with their former intelligence chief in Time magazine, also declined to take custody of bin Laden. In Afghanistan in 1996, bin Laden issued a "fatwa," or a religious order, entitled "Declaration of War Against Americans Who Occupy the Lands of the Two Holy Mosques." "There is no more important thing than pushing the American occupier out," decreed the fatwa, which praised Muslim youths willing to die to accomplish that goal: "Youths only want one thing, to kill (U.S. soldiers) so they can get to Paradise." In his first interview with Western media in 1997, bin Laden told CNN that the United States was "unjust, criminal and tyrannical." "The U.S. today, as a result of the arrogant atmosphere, has set a double standard, calling whoever goes against its injustice a terrorist," he said in the interview. "It wants to occupy our countries, steal our resources, impose on us agents to rule us." In February 1998, he expanded his target list, issuing a new fatwa against all Americans, including civilians. They were to be killed wherever they might be found anywhere in the world, he decreed. This new fatwa announced the creation of the "The World Islamic Front for Jihad against the Jews and the Crusaders" and was co-signed by Dr. Ayman al-Zawahiri, head of Egypt's al-Jihad terrorist group. Six months later, explosions destroyed the U.S. embassies in Kenya and Tanzania, killing 224 people and injuring 4,000 more. U.S. prosecutors later indicted bin Laden for masterminding those attacks. By the time three hijacked airliners struck the World Trade Center and the Pentagon, symbols of the U.S. business and military might, bin Laden's terror network had become global in its reach. The organization soon became America's prime target in Bush's war against global terrorism. Bin Laden, its founder, became the most-wanted man in the world. Then-U.S. Secretary of State Colin Powell explained al Qaeda's network this way: "Osama bin Laden is the chairman of the holding company, and within that holding company are terrorist cells and organizations in dozens of countries around the world, any of them capable of committing a terrorist act." "It's not enough to get one individual, although we'll start with that one individual," Powell said. In statements released from his hideouts in Afghanistan after September 11, bin Laden denied al Qaeda was responsible for the attacks. A videotape of bin Laden later obtained and released by the U.S. government, however, showed him saying he knew the September 11 attacks were coming, chuckling and gloating about their toll. Even with his knowledge of the construction trade, he said with a smile, he did not expect the twin towers of the World Trade Center to collapse completely. Speaking in an earlier video recording that was first broadcast over the Arabic-language television network Al-Jazeera, bin Laden said America is "filled with fear from the north, south, east and west. Thank God for that." "These events have split the world into two camps -- belief and disbelief," he said. "America will never dream or know or taste security or safety unless we know safety and security in our land and in Palestine." 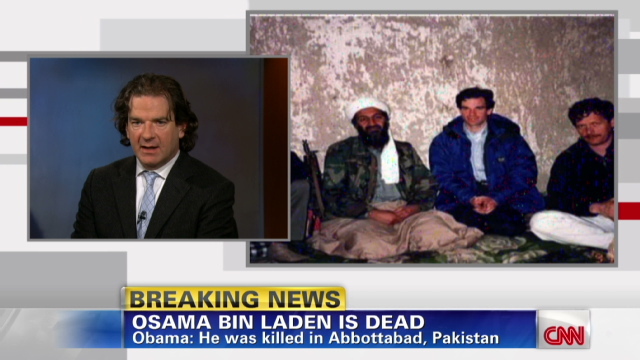 Bin Laden had taken advantage of his time in Afghanistan, cementing his ties to the Taliban. He was particularly close to Taliban leader Mullah Mohammed Omar. He built a mansion in Kandahar but spent most of his time on the move around the country, according to intelligence sources. Al Qaeda had a network of training camps and safe houses where recruits from around the world were brought for combat and weapons training and indoctrination. As long as the Taliban ruled Afghanistan, bin Laden, his four wives and more than 10 children were able to avoid capture. Before September 11, the Afghan government refused U.S. requests to turn over bin Laden. "Osama's protection is our moral and Islamic duty," one Taliban official was quoted as saying in July 2001. As the United States bombing campaign helped the Afghan opposition drive the Taliban from power, however, bin Laden's days were numbered. The reward on his head grew to $25 million. Countless leaflets advertising the bounty were dropped from U.S. airplanes, which flew with impunity over Afghan skies. "We're hunting him down," Bush said on November 19, 2001. "He runs and he hides, but as we've said repeatedly, the noose is beginning to narrow. The net is getting tighter." But he eluded U.S. and allied authorities during the war in Afghanistan, vanishing in December 2001, apparently fleeing during the intensive bombing campaign in the rugged Tora Bora region near the border with Pakistan. "He's alive or dead. He's in Afghanistan or somewhere else," then-Defense Secretary Donald Rumsfeld said in April 2002 when asked about bin Laden's whereabouts. No more videos showing bin Laden were released during the spring and summer of 2002 and there was speculation that he may have died during U.S. bombing raids in Afghanistan. But audiotapes released in October and November 2002 and broadcast on Al-Jazeera were allegedly were from him. 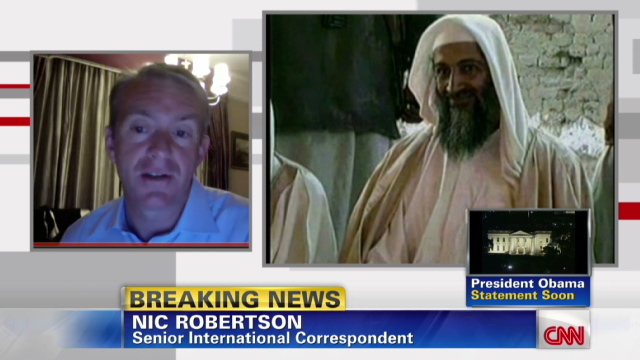 U.S. government experts analyzed the tapes and said the voice on the tapes was almost certainly bin Laden's. On February 11, 2002, a new audio message purportedly from bin Laden called on Muslims around the world to show solidarity against U.S.-led military action in Iraq. The tape was broadcast on Al Jazeera, which originally denied its existence. The voice on tape added that any nation that helps the United States attack Iraq, "(Has) to know that they are outside this Islamic nation. Jordan and Morocco and Nigeria and Saudi Arabia should be careful that this war, this crusade, is attacking the people of Islam first." Days later, U.S. government reports suggest that bin Laden had survived sustained bombing and could be near the border of Afghanistan and Pakistan. Then, in May 2002, Taliban leader Mullah Mohammed Omar is quoted in a Saudi-owned publication, "Sheikh Osama is still alive, praise God." A Russian newspaper publishes a similar report likewise quoting Omar, saying, "Osama helped us during the war with the (Soviets), he would not leave us now." Abdel-Bari Atwan, the editor of the London-based Al-Quds Al Arabi newspaper, said in July of that year that bin Laden was in good health, despite being wounded in an attack on his base in Afghanistan the previous December. Atwan said then that bin Laden's followers had told him that the al Qaeda leader would not make more video statements until his group launched another attack on the United States. That appeared to prove prescient, as there were no further attacks on U.S. soil in subsequent years -- though there were several high-profile attempts, purportedly linked to al Qaeda -- and few signs of bin Laden. Muslim clerics in Spain turned the tables on bin Laden in March 2005, issuing the first fatwa against the terrorist leader. The Islamic edict called him an apostate and urged other Muslims to denounce him. More details about bin Laden came out in October 2009, in the form of a book written by one of his wives and sons titled, "Growing Up bin Laden: Osama's Wife and Son Take Us Inside Their World." A few months later, the U.S. government admitted a "lack of intelligence" on his whereabouts -- suspecting that he could be in Afghanistan or Pakistan. But he reappeared on the world's radar in January 2010, with the release of two audiotapes released in the span of a week. In the first, he purportedly claimed responsibility for the alleged Christmas Day attempt by Nigerian national Umar Farouk AbdulMuttallab to blow up a Northwest Airlines plane as it neared Detroit, Michigan, from Amsterdam, Netherlands. In that tape, the voice -- thought to be bin Laden's -- warned the United States of more attacks. Days later, Al Jazeera released an audiotape purportedly from bin Laden in which he condemned the United States and other industrial nations for causing climate change. Then, in January of this year, a speaker claiming to be the terrorist mastermind warned French troops to leave Afghanistan -- or else two French journalists abducted by militants there could be killed. The speaker thought to be bin Laden said on the audiotape, which also aired on Al Jazeera, that France's alliance with the United States will prove costly. One U.S. counterterrorism official told CNN at the time that the tape "sends a chill up your spine," as it refers to "a couple of human beings whose lives are at stake." For several months before that last tape's release, however, U.S. officials had received specific information about where bin Laden may have been hiding in Pakistan, according to President Barack Obama. On Sunday, the president said he ordered an operation -- carried out by a handful of U.S. troops -- to get bin Laden in Pakistan. The al Qaeda leader resisted and was killed in an ensuing firefight, and U.S. forces took custody of his body. He was later buried at sea, with one U.S. official saying his body was handled in the Islamic tradition. "His demise should be welcomed by all who believe in peace and human dignity," Obama said in a speech announcing bin Laden's death. "Justice has been done."